Have needs above and beyond? Our team at MRC® can assist you in not only finding but creating the best solution possible. We aren’t simply selling a product, we are selling a foundation with an insurance policy. Manufacturing our entire line in house allows us to have precise control over the quality of our products. This is the same precision that professionals have come to trust for their businesses and hobbyists for their prized livestock. MRC® is the only choice for the serious aquarist. Equipment manufactured for the serious marine aquarium enthusiast at an affordable price point. See how our xSeries™ can benefit you. Professional grade, American made aquarium filtration and life-support components. See our complete line of +Series products bellow. Industry leading industrial aquatic life-support equipment. Browse our offerings and contact an MRC® representative for more information. Tim ensures the fabrication team is churning out products efficiently and accurately. When he’s not cracking the whip, you can find him working on new and improved LSS technologies. In his spare time, he’s an avid photographer, which provides a stark contrast to the hustle and noise of the production facility. Raj concentrates on working with institutions around the world. From designing new facilities and exhibits to solving LSS problems and everything in between. When he’s not in the office, he can be found traveling the world. With his phone and laptop kept close at all times, he stays in touch with clients, ensuring peace of mind and service. Trevor has a long and successful career in the aquatics industry from pet stores and public aquaria to filtration medias and supplements. Having been a store owner and public aquarium employee, he’s in tune with the needs and uses his experience to guide his clients to success. Trevor is a true animal lover, spending his extra time with his farm, where he focuses on education and conservation. 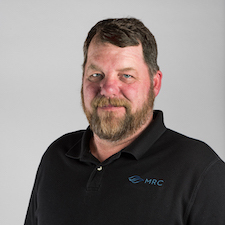 Joe joins the MRC team with more than 30 years of aquarium experience. 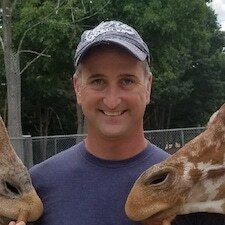 He has held various positions in the aquarium industry and takes pride in his most well known endeavor: the Long Island Aquarium, which he co-founded. 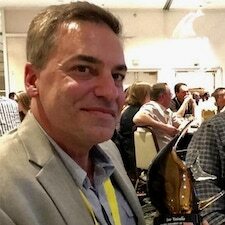 He focuses on exhibit design and consultation, creating mind blowing reef displays as he has done with the 20,000 gallon reef in the Long Island Aquarium. MRC is our go-to fabricator for both custom and off-the-shelf aquarium equipment. Their build quality, reliability and performance are second to none. Using MRC equipment, we are able to create robust and space-efficient filtration systems that exceed our client’s expectations. Plus Raj can drink a pint of ranch dressing. He’s a little bit special and we feel sorry for him, so we buy his stuff. I’ve got your sump in and WOW. I love this thing. 100% quiet and it looks great. I can’t say enough good things about it. Aquarium Artisans specialty is designing large commercial complex systems around the country. Choosing MRC as a partner is the best and most logical choice. 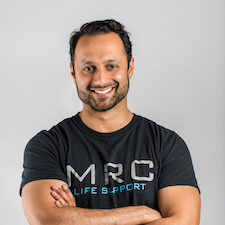 Raj and Tim are always using science, technology, and innovation to push the limits of Life Support Design which is exactly what our customers demand and what we are known for. Every calculation, detail, and idea is accounted for during the process to make sure our clients end result is better then what they envisioned. The quality of their equipment shows it can handle the rigorous abuse in these harsh commercial environments and ensures it’s the only life support our clients will have to purchase. Aquarium Artisans is proud to call MRC one of our go to partners for our firm. OMG, that thing [custom iSump] is absolutely gorgeous… The fit and finish is flawless. Love it! Looking to purchase an MRC® product? See where your nearest authorized dealer is located.